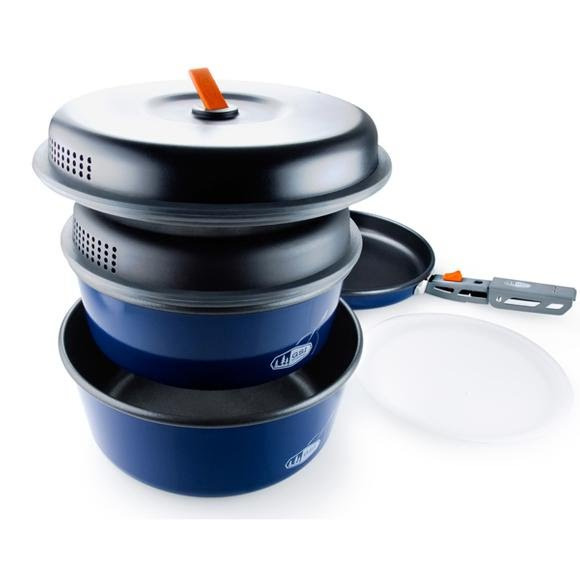 GSI offers the Bugaboo Base Camper, Small cookware for teams of 2, providing exceptional performance at an exceptional value. Exclusive folding gripper locks to and removes easily from exterior brackets to prevent scratching while providing a secure handle for cooking. Unique design compacts for nested storage. Included cutting board is ideal for a variety of prep duties and isolates the pots to protect the non-stick surface and prevent clattering.